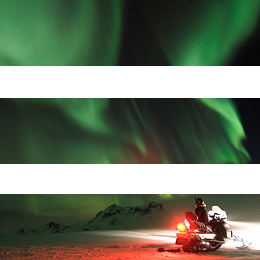 Be captivated by the exquisite natural beauty of this land of fire and ice. 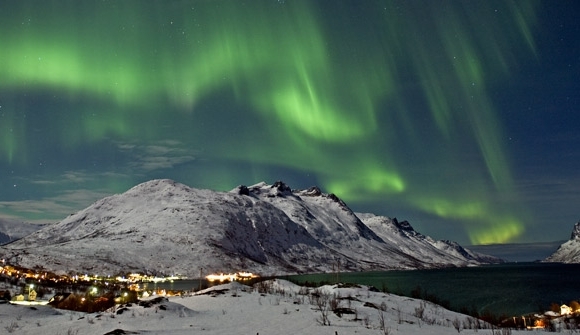 Experience this dramatic landscape then unwind in bubbling natural hot springs. Embrace relaxation in luxury lodgings that exude Icelandic chic, and sample some of the region’s most innovative Nordic cuisine. 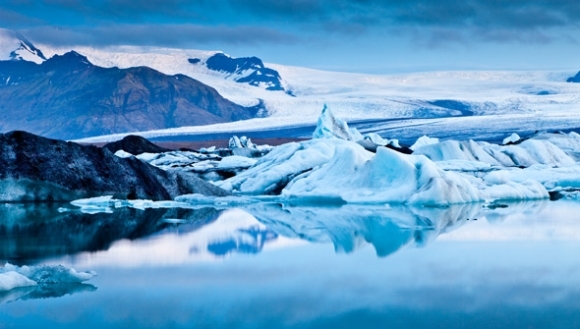 Let the raw natural beauty of Iceland’s landscape ignite your senses, where dramatic lava strewn backdrops and exploding geysers contrast with the beauty of unhurried glaciers and turquoise pools. 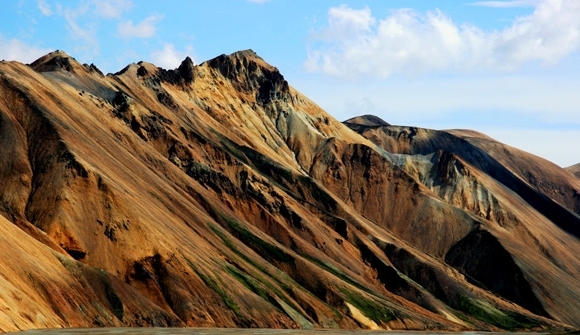 From golden beaches to steaming lava fields, be mesmerised around every corner. Let the long, calm fjord lined with snow-capped mountains, tumbling waterfalls and colourful 19th century wooden houses envelop you. 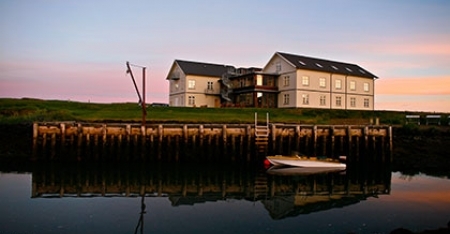 From a charming and intimate hotel, explore the bohemian town of Seydisfjord, enjoy the tranquility of this area by kayak and spot for wildlife with your resident naturalist in a private nature reserve. This jaw-dropping glacier and stunning glacial lagoon will present you with both serenity and spectacle. 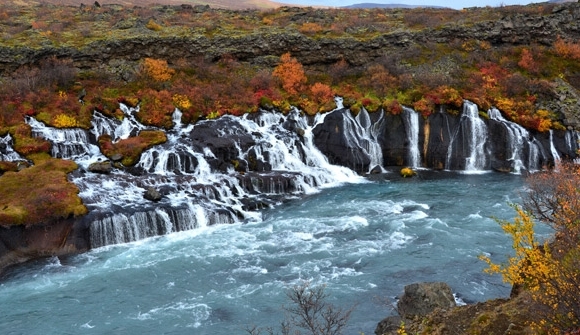 Breathtaking waterfalls and black sand beaches are the entree. Take in spectacular views of glittering glacial icecaps and luminous-blue icebergs as you explore this area by super jeep and zodiac, before you cruise along wild coastal beaches. 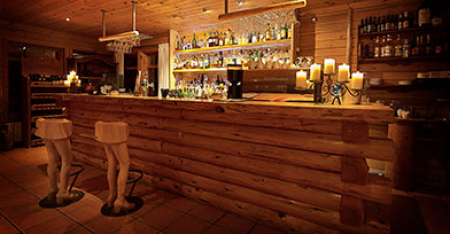 Then rest your head in a luxury lodge and enjoy its innovative Nordic cuisine. 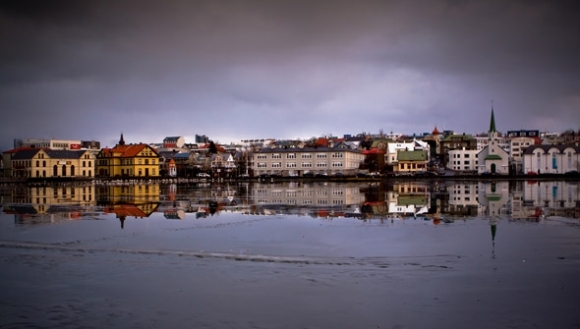 Experience the stylish and eclectic culture of Iceland in the capital, Reykjavik. Discover artisan boutiques and cosy cafes, enjoy world-class restaurants and indulge in state of the art geothermal pools with your exclusive lounge access. Retreat at night to the elegance and sophistication of a landmark art deco hotel. Arrive at Keflavik International Airport and begin your discovery of ice-blue glaciers, lava fields and otherworldly landscapes. 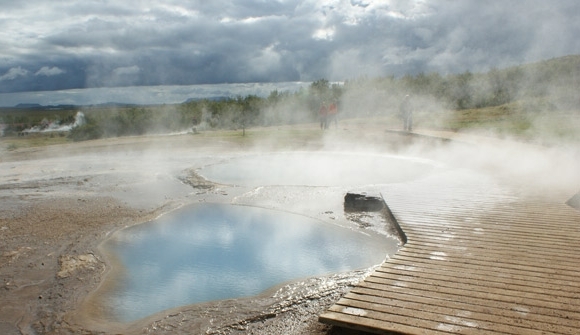 Tour of the Reykjanes peninsula, stopping at Gunnuhver geothermal area where fumaroles, steam vents and multicolored bubbling mud pools await. Afterwards, you make your way through the Icelandic countryside to the iconic Hotel Ranga. 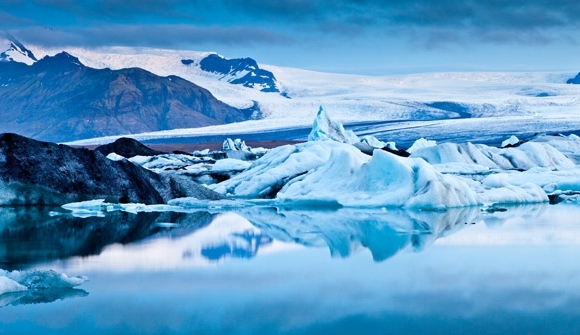 Today you begin exploring Iceland’s dramatic landscapes. UNESCO World Heritage listed Thingvellir National Park awaits. 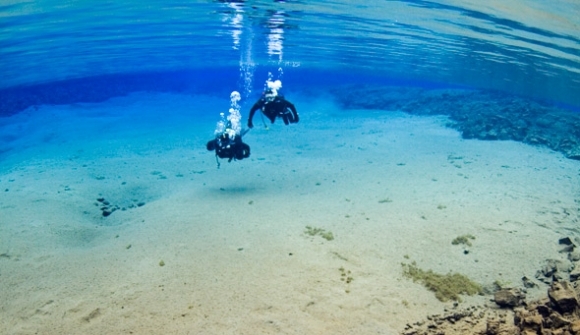 A land of dramatic rift valleys, snorkel in the crystal clear waters of Silfra Gorge then discover roaring waterfalls, bubbling springs and shooting geysers. 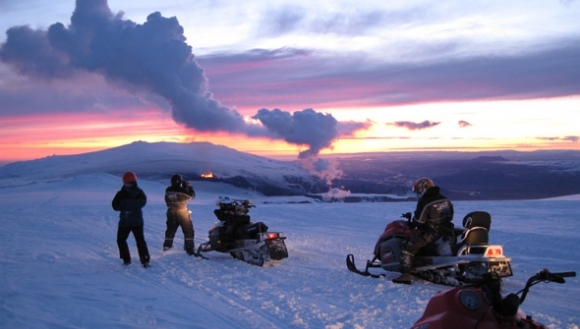 In the excite your senses with a snowmobile ride on Langjokull glacier. 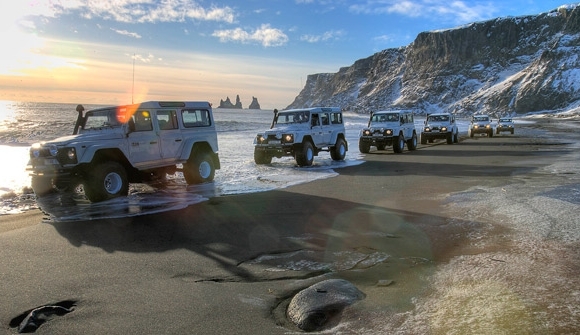 Today you head for Iceland’s south coast. 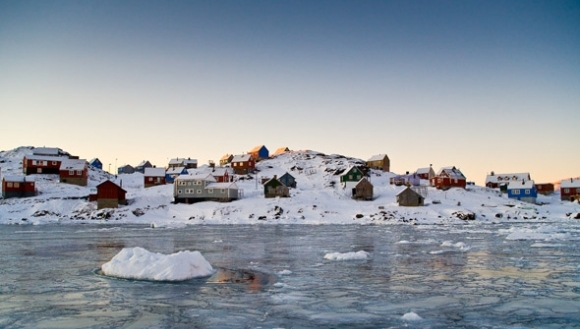 Wild coastal beaches and glittering ice caps stretch into the distance. 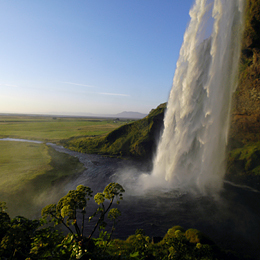 Walk behind the breathtaking Seljalandsfoss waterfall, the entree to the dramatic Myrdalsjokull glacier. 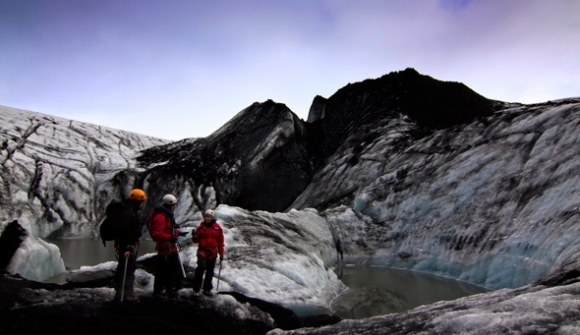 Lose yourself to this aqua blue ice cap as you explore the area on a private glacier hike. 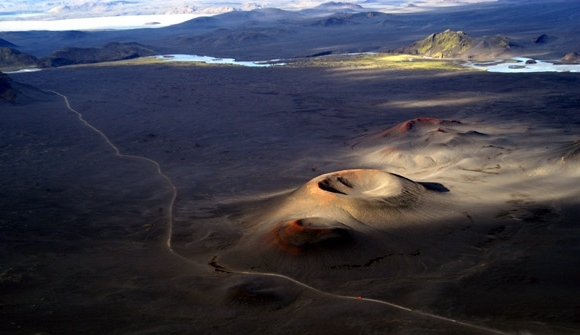 In the late afternoon, traverse one of the world’s largest lava fields to the comfort of the intimate Hotel Klaustur. An awe inspiring collection of peaks and glaciers is Skaftafell National Park, as you soak up this area on foot enjoying a picnic lunch along the way. In the afternoon, a stunning glacial lagoon awaits. On your private zodiac boat, get close to luminous-blue icebergs floating in turquoise waters. A delicious lobster dinner by a picturesque harbour rounds out the perfect day. 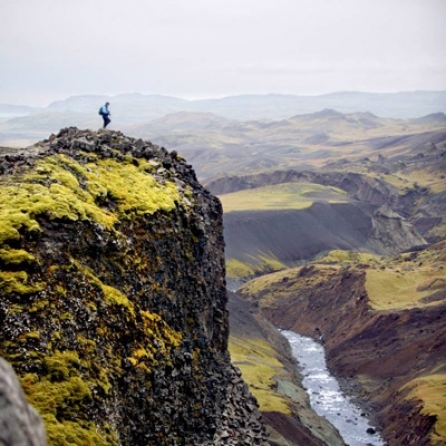 The scenic east coast of Iceland is a landscape marked by deep fjords, ice-covered mountains and moss-grown heaths. 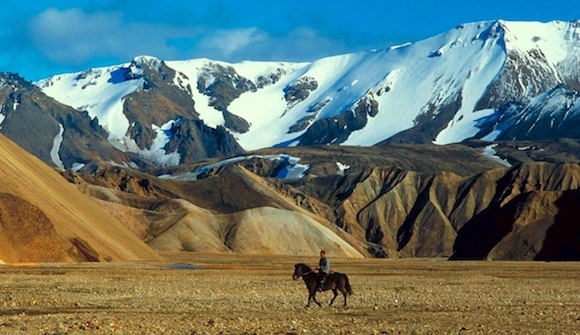 Home to wild reindeer, spot grazing animals by the roadside as you journey through this striking, remote terrain. Soak up the tranquil atmosphere of the authentic countryside from the very lovely Hotel Aldan, your home for the next two nights. Nestled in a long, calm fjord lined with snow-capped mountains, tumbling waterfalls and colourful 19th century houses, wake up in one of Iceland’s most picturesque coastal villages, Seydisfjordur. 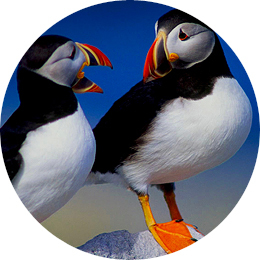 Located in stunning isolation at the mouth of the fjord, Skalanes Nature Reserve is your morning destination. 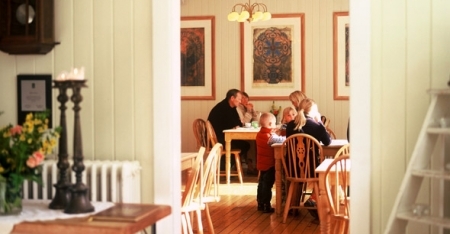 Hike to the old farmhouse - the perfect place to sample homemade breads, Icelandic delicacies such as smoked fish, and locally brewed beer. 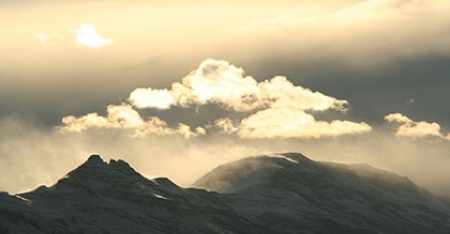 Today you journey into the desolate moors and wildly beautiful scenery of the highland desert. Your journey is broken in spectacular fashion, at Europe’s largest and most powerful waterfall, Dettifoss. 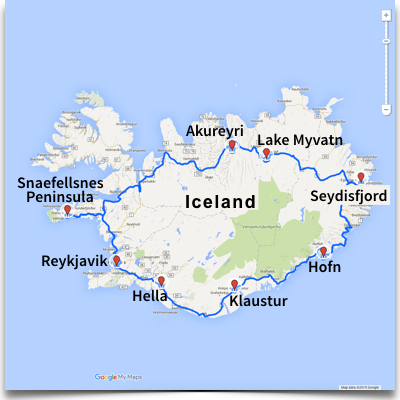 Then the gem of this region, Lake Myvatn awaits. After a day of incredible experiences, rest, relax and enjoy as you bask in the geothermal waters of the Myvatn Nature Baths. Turquoise-blue and mineral rich, indulge in a relaxing soak. This morning you explore the starkly beautiful landscape around Lake Myvatn. 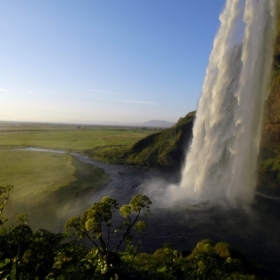 Experience a kaleidoscope of natural wonders from bubbling geothermal mudflats, picturesque volcanic craters and steaming lava fields to grassy shoals teeming with water birds as you explore this area by jeep and on foot. Witness majestic creatures at play as you start the day whale watching at Husavik, the best spot in Iceland to view whales in the summer months. Stop at the beautiful “waterfall of the gods” before reaching the head of Iceland’s longest fjord and the vibrant city of Akureyri. Lose yourself to its charming mix of winding lanes, bustling cafes, gourmet restaurants and mountain views and soak up the relaxed atmosphere of Iceland’s second largest city. 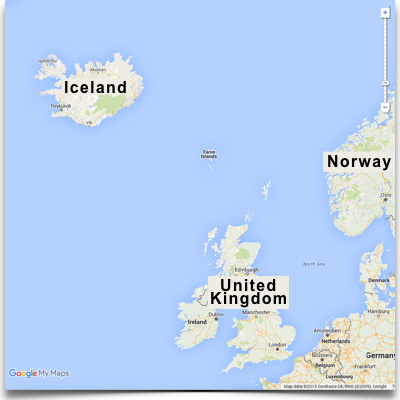 Today you are bound for Iceland’s picturesque western peninsula, Snaefellsnes. En route, enjoy a rustic lunch in the town of Stykkishomur with its picture postcard harbour and 19th century wooden buildings, then retreat to one of Iceland’s best country hotels, Hotel Budir, and your base for the next two nights. Wake up in your elegant room and with floor to ceiling glass windows, enjoy breakfast in the company of staggering glacier views. Today you discover golden beaches and tranquil coves on foot. Tonight, enjoy a pre-dinner drink by the roaring fire and then savour some of Iceland’s finest food in the hotel’s restaurant. Leaving Snaefellsnes you travel through the Icelandic countryside, past scenic farmlands, heading back to the world’s most northerly capital, Reykjavik. 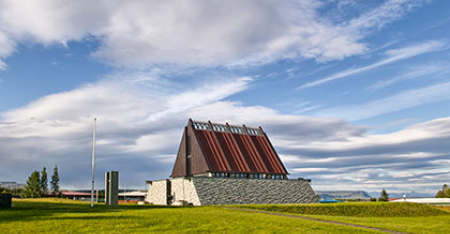 Leaving the countryside you head back to the world’s most northerly capital, Reykjavik. Be captivated by its eclectic blend of galleries, cosy cafes, stylish boutiques and world-class restaurants as you explore this diminutive city on foot. After a day of exploring, retreat to your landmark art deco hotel and enjoy dinner at one of our favourite Reykjavik restaurants. A!er breakfast, you return to Keflavik International Airport for your flights home. 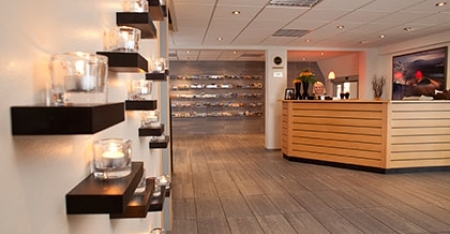 In Reykjavik you stay at the landmark Hotel Borg. Perfectly positioned, the hotel is a picture of art deco sophistication. Exuding character and elegant style, after a day uncovering Reykjavik enjoy the stylish furniture and marble bathrooms with deluge showers. 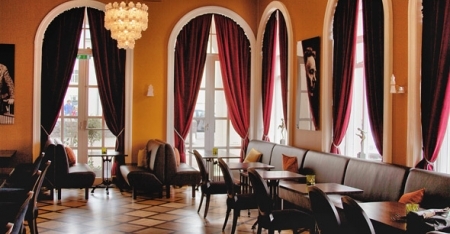 Relax in the oversized lounge and enjoy the views of historic Austurvollur Square below. On your exploration of some of Iceland’s most dramatic landscapes, you stay at Iceland’s iconic Hotel Ranga. Dramatically located, soak in the lodge’s outdoor geothermal hot tub then enjoy some of Iceland’s finest cuisine in the renowned glass-walled restaurant. Warm service and astonishing luxury suites complete the picture. Ignite your senses with black-sand beaches, lava fields, waterfalls and ice-blue glaciers, then retreat to the comfort of Hotel Klaustur. 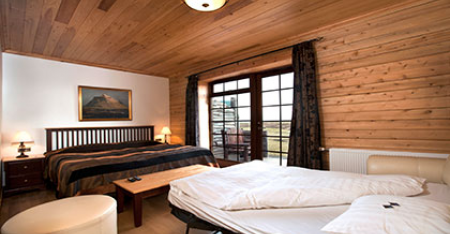 Located in a small village, this intimate hotel offers a comfortable place to rest and relax on your journey through this exotic and wild part of Iceland. 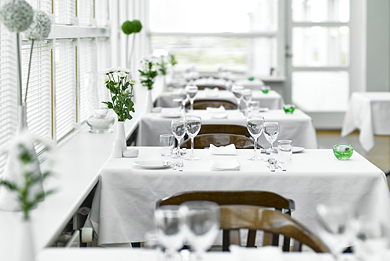 With breathtaking views of magnificent glaciers, snow-capped mountains and a fjord, Hotel Hofn is perfectly located in the heart of the tiny seaside town of Hofnin - the lobster capital of Iceland. Explore a glacier lagoon and trek in Europe’s largest national park, then enjoy the contemporary yet cosy rooms and lobster feasts on offer here. Nestled in a calm fjord lined with snow-capped mountains, waterfalls and colourful 19th century houses is one of Iceland’s most picturesque coastal villages, Seydisfjordur. 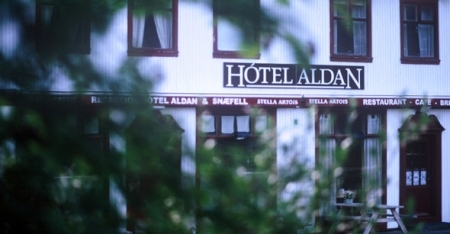 Charming Hotel Aldan is your home for a few nights. In three historic buildings dating back to the 19th century, enjoy this intimate hotel with its luxuriously decorated rooms furnished with antiques and handmade bedspreads. On your exploration of Iceland’s starkly beautiful highland heaths, lava fields and geothermal baths, you stay at Hotel Reynihlid. Located in a small village, this intimate hotel offers contemporary rooms and a comfortable place to rest your head. 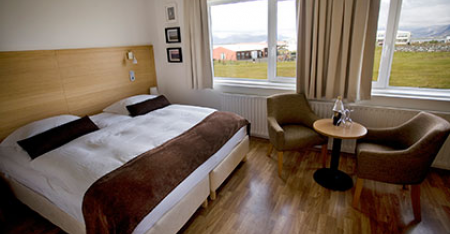 In Akureyri, you stay at Hotel Kea. Perfectly located in the heart of this small town, soak up the buzz of gourmet restaurants, bustling cafes, art galleries and eclectic boutiques then return to comfort of your contemporary room. On your discovery of the Snaefellsnes peninsula, with its lush fjords, sweeping golden beaches and tranquil coves, base yourself at Hotel Budir. 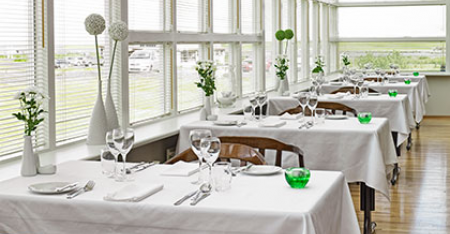 One of Iceland’s most beautiful country hotels, after a day of exploring relax by the fire, enjoy the staggering views and savour some of Iceland’s finest cuisine in the excellent restaurant. Then retreat to your elegant room complete with freestanding bath and stylish furnishings. 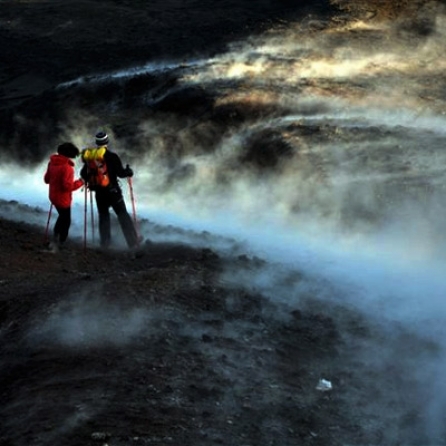 kaleidoscope of natural wonders from bubbling geothermal mudflats to steaming lava fields. Your zodiac gets you up close to luminous-blue icebergs floating in turquoise waters. A delicious lobster dinner rounds out the perfect day.